This was a great project to work on and a great client to work with! 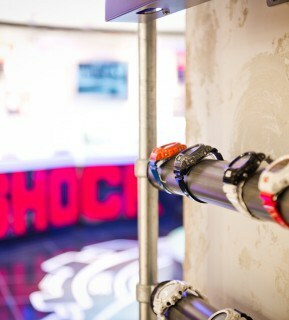 We designed and installed the Casio G-Shock pop up shop in Harrods, Knightsbridge. 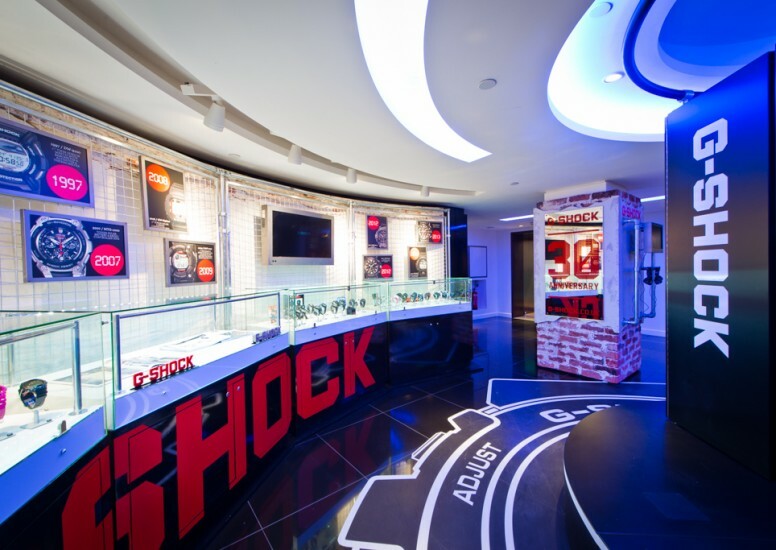 A pop up shop to celebrate 30 years of Casio G-Shock watches. This dramatic space was designed to create a strong brand space and promote the new Casio G-Shock watch – the MTG which is Casio’s most expensive model. We designed a timeline wall to celebrate Casio G-Shock’s heritage, highlighting key milestones and watch designs throughout the 30 years. 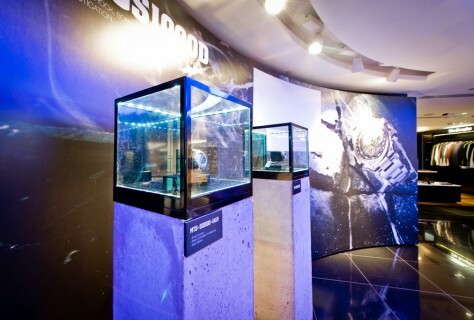 Glass display tanks showcase the watches on sale. This pop up shop promotes collaboration with Men’s Health Magazine shown through an interactive element for the customer to have their photograph taken at the site showing their street style and their favourite Casio G-Shock watch for a chance to win a holiday. A dynamic, experiential retail space with powerful graphics, creating a dramatic impact on the Harrods 5th floor. A great project and we are excited to see the next site launched!